Please contact the owner directly @ 704-762-7768 or william.j.owens@wellsfargo.com...20ll Tahoe Q5i SF in excellent condition, with trailer. Red with bimini top and brand new custom cover never used. Boat has less that 30 hours in the water. Remote control trolling motor and fishing seats. Difference between 2014 model and this one is the graphics and the cost. 2014 will cost with taxes and all no less than 32,000.00 for exact same boat. This boat is 20,500.00 no additional taxes for selling price. Trailer in excellent condition and tires like brand new. Everything works like brand new guaranteed. 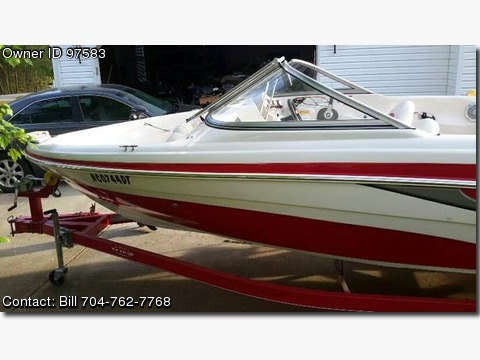 This boat will sell before July 4th so don't miss out. You can save over 12,000.00 and have an excellent boat. Will send more pictures if requested.